Something old, something new, something borrowed and something framed! That’s probably how the saying should go because wedding photos are one of the most important memories you’ll keep forever. Here is your wedding photo checklist. When the party is over and the cake is eaten, when the vows are said and all you have to look back on is your wedding photos, it makes you realise how important it is to capture your big day in all its glory. A wedding aficionado, Gary Nunn has attended more than weddings most folk in his career as a wedding photographer in Milton Keynes, Bedfordshire, and the surrounding area. During this time, Gary has met a variety of clients from all over the world, and has an expert understanding of the most important photos on the day. His wedding photo checklist is stored safely for your wedding day. 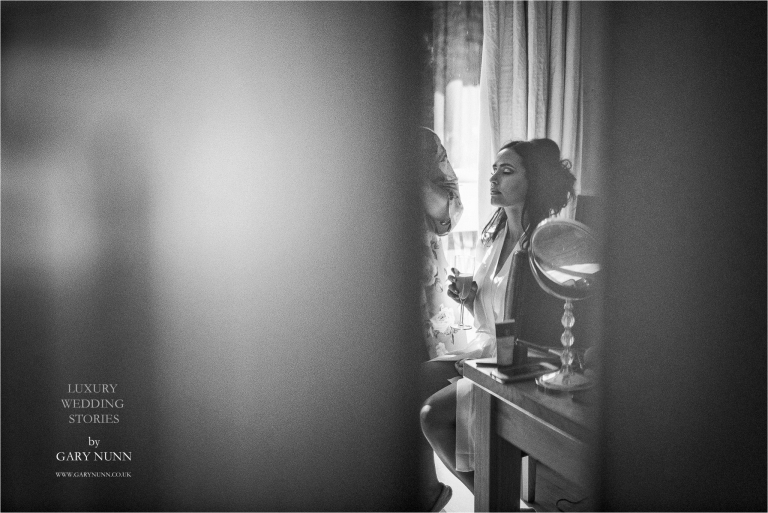 I’ve been privy to many morning preparations, where the bride-to-be is getting ready with her bridal party. This is where energy is at its highest and emotions raw. It’s a privilege to be invited to capture such intimate moments, and it never fails to create some of the most memorable wedding photos. It might be the bridesmaids helping the bride step in to her dress for the first time, a gentle interaction with mother and daughter, or the moment a father sets eyes on his daughter. There are moments where although you should stand well back, just need to be documented. It’s my job as a wedding photographer to create the story, it doesn’t have to be obtrusive. Candid wedding photography is gold. One of the most powerful moments I’ve ever captured was when the Father of the Bride had a known terminal illness. Seeing his daughter on her wedding day was the most incredible moment and cemented my decision to leave memories around the world, making people happy. A few months later he left us but he took those memories with him. This is when you realise just how important my job as a wedding photographer is. Out of respect, I have not shown this photo. It’s a special one for me and their family. The exchange of wedding gifts between a bride and groom is lovely and traditional. Not all couples do this but when they do it’s a special moment. The exchanging of gifts should be done in a calm and quiet moment. This is a moment to reflect on the day and allows you share something very personal. You share your wedding day with many people, it’s this moment when it’s just for you. If there’s young bridesmaids, flower girls and page boys, there’s great photos to be had! Children are always such a joy to photograph, their innocence shines through. If you look back to some of the most famous royal weddings, it’s usually interactions with youngsters that capture our hearts. A spectacular moment that is simply unmissable! The first kiss is a photo that will live in photo frames and hearts forever. It is a custom tradition in the Western World for a newly married couple to exchange a kiss at the end of the wedding ceremony. Some believe the kiss symbolizes the exchange of souls between the bride and the groom, two become one. Not all ceremonies include confetti throwing. Those that do create a colourful and fun moment that is great to capture. Regardless of this, the moment a couple walks out of the church, venue or registry office is one to document. Your photographer should have a plan on where you walk, follow their direction and you’ll be fine. While there will be plenty of photos of the bride and groom throughout the day, I always suggest time out for a few personal portraits. I try to capture backdrops and the grounds of the venue in these. I always keep in mind that this could be the photo that makes its way on to the wall at home, so it’s one of the most important for the photographer to capture. These photos will top every wedding photographers wedding photo checklist. 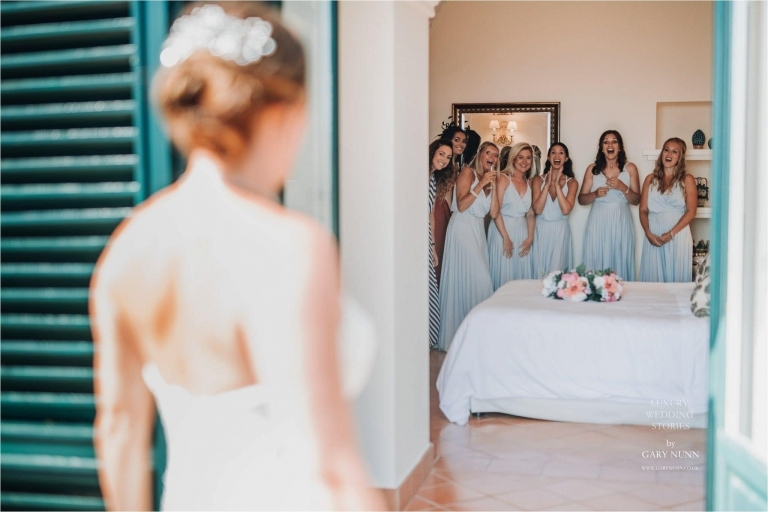 An essential wedding photo is the group shot of the bride and her bridesmaids. Usually this is best captured after the vows, when everyone is more relaxed. This shot needs to be on your wedding photo checklist for sure! The stag group always turns out to be a fun photo! There’s something a group of young guys find irresistible about getting together and keeping a straight face. I find it’s where personalities come out at their best! What happens on the stag do, stays right there. Group shots aren’t always the most creative of photos, but what they achieve is capturing a moment in time with everyone you love. It’s one of the moments most couples tell me they look back on in years to come, to remember who came to their wedding. Limiting the group shots to a maximum of 8 right after the wedding ceremony I find helps the day flow. People generally aren’t keen on standing around. There are always opportunity later on in the day to capture people together. There are hundreds of combinations of group shots that could be taken. One of the most important is two families coming together. I usually recommend immediate family only. Timeless and beautiful there is nothing more to say. Add it to your wedding photo checklist. I’m yet to go to a wedding, where the best man’s speech wasn’t the most anticipated speech of the day. It’s always nerve-wracking, emotional and enjoyable, and there’s a trueness and honesty about the words being said, that translate beautifully in photos. I commonly find the best man pacing somewhere quiet getting prepared, practicing. At this point most couples let their guards down and have a bit of fun. It’s unpredictable to see what happens, sometimes it’s a straight forward shot, other times the bride makes a joke with the knife, I’ve even seen couples smear each other’s faces in cake! The first dance is very unpredictable. You can’t control where the Bride and Groom dance. They are the guests of honour and can dance however they wish. I stay with them for 30 seconds of the wedding song then move out of the way so they can have their moment. Candid wedding photography in every circumstance is the best wedding photogaphy. 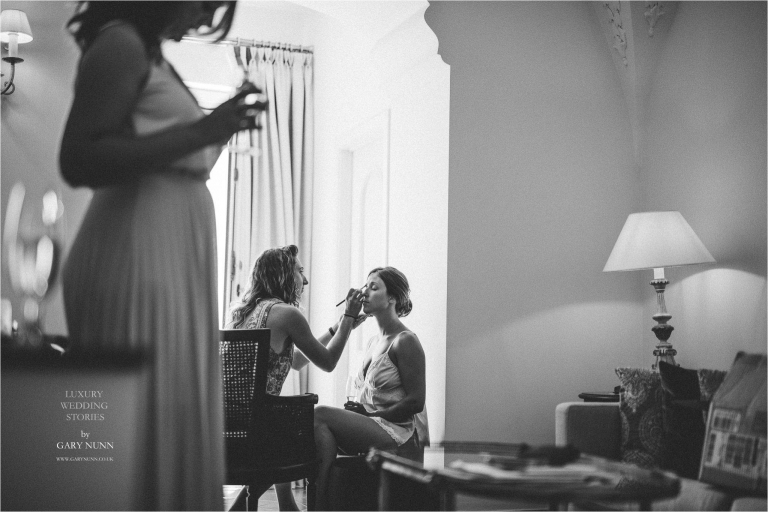 Being a destination wedding photographer for over 12 years these shots become second nature. Every single wedding is very different, styling venue, decoration. The unique nature of every wedding is what makes wedding photography special. Hope this wedding photo checklist makes it to your wedding photographer! 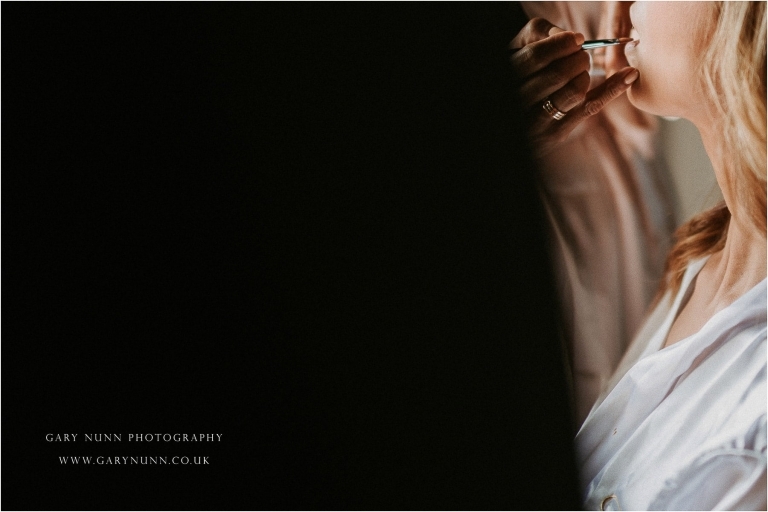 Gary Nunn is a leading wedding photographer in Milton Keynes. Get in touch today for a free consultation about your special day!